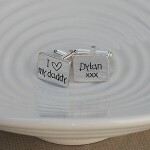 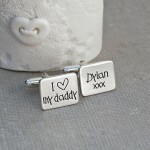 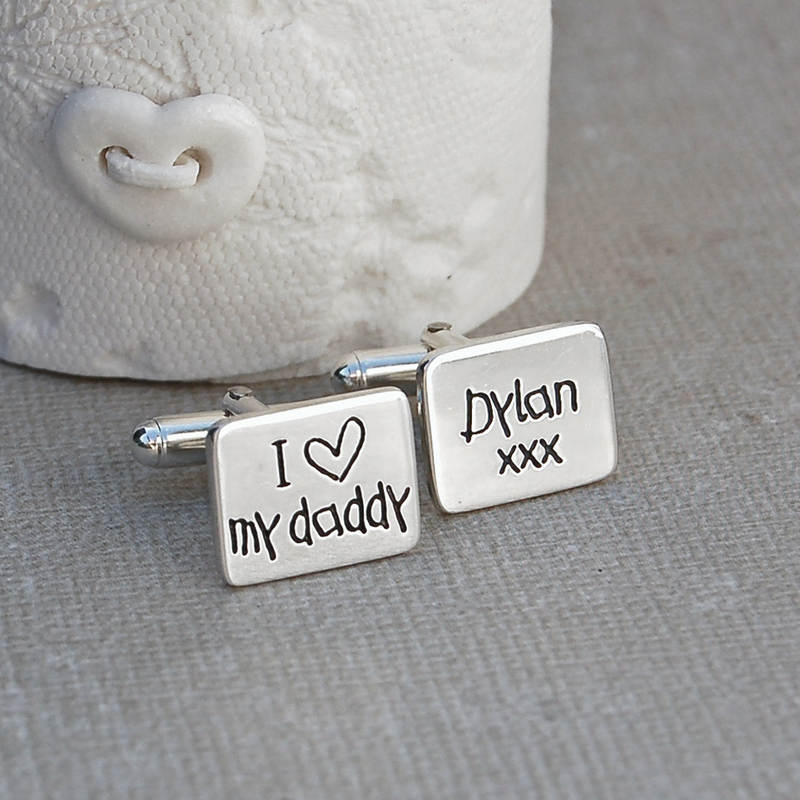 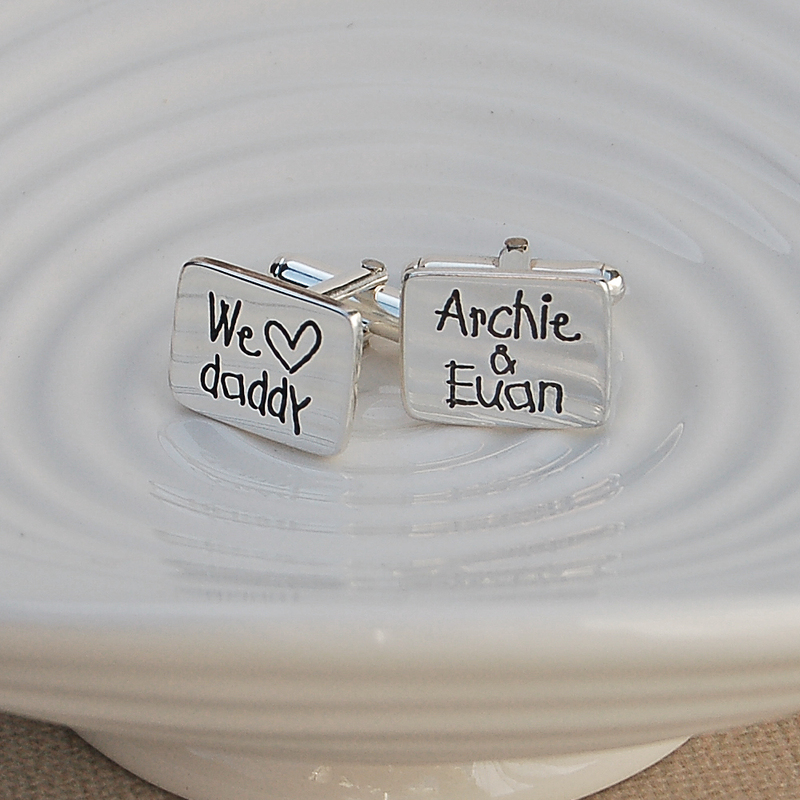 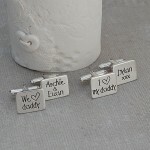 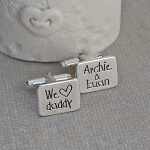 Cufflink one will be etched with either I ‘heart’ or We ‘heart’ on line one and then your choice of text of up to 8 characters for the second line, so perfect for Daddy, Grandad etc. 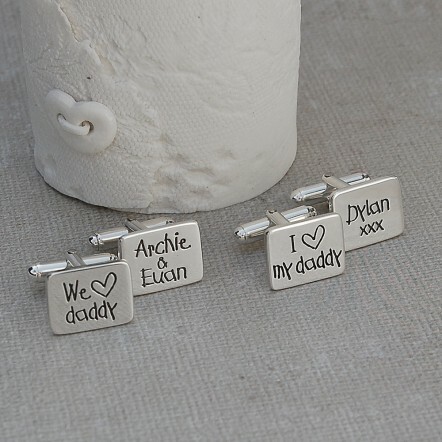 Then the second cufflink can again be etched with up to twp lines of text with 8 characters per line and if you would like two names on the second cufflink we can add an & symbol inbetween the names. If you would just like one name we will centre the text vertically or you can always add a few kisses as shown in the product image. 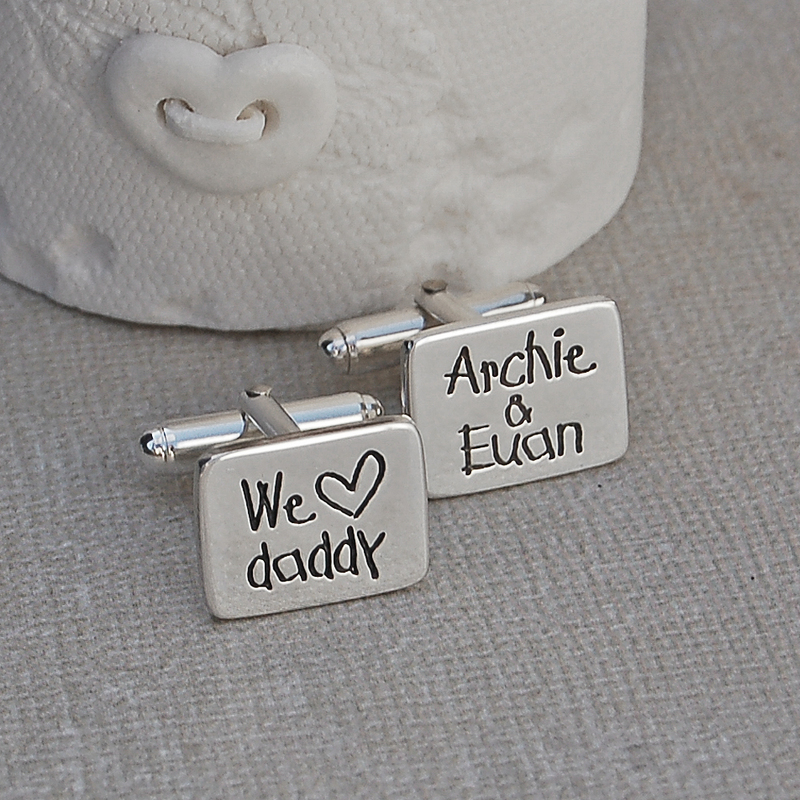 You can also choose the finish for the lettering to have it oxidised (blackened) as shown in the main product image or left silver. 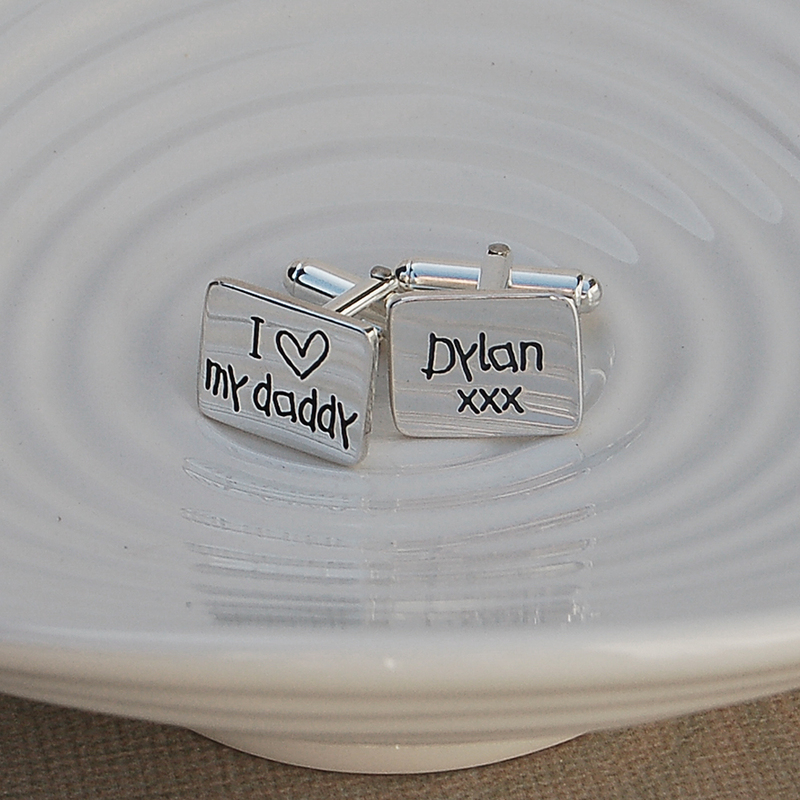 Our solid sterling silver cufflinks measure approximately 17mm wide x 14mm high and are a lovely 1.5mm thick and have classic sterling silver cufflink fittings with round bars soldered onto the back.